ALBUQUERQUE, N.M. (November 19, 2018) – The National Scenic Byways program, dormant since 2012, is poised to be revived by legislation currently before Congress. Byway advocates are hopeful that both the House and Senate will pass bills supporting the program during the current Congressional session. The program, which currently includes 150 specially designated roads throughout the country, was introduced in 1991 by the U.S. Secretary of Transportation to help recognize, preserve and enhance selected roads throughout the United States earmarked for their archeological, cultural, historic, natural, recreational and scenic qualities. Many of these roadways crisscross Native American lands. 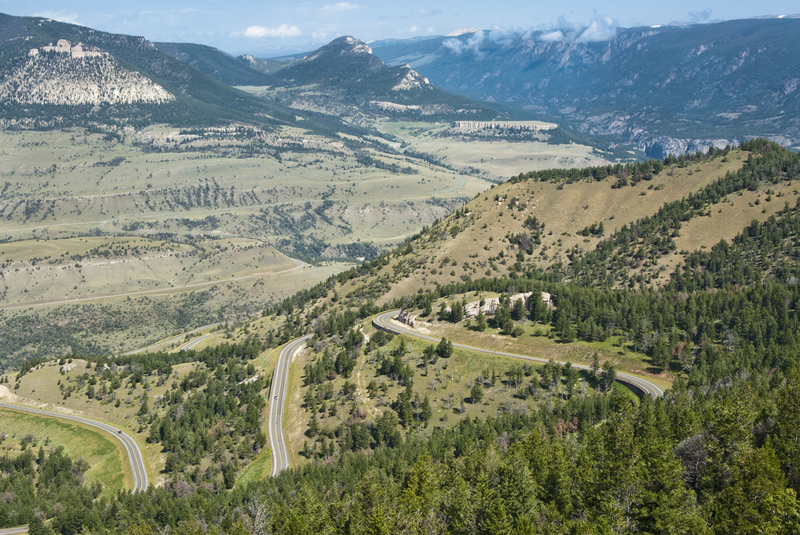 Among them, the Native American Scenic Byway, crosses the reservations of four tribes of Lakota Sioux: Crow Creek, Lower Brule, Cheyenne River and Standing Rock, while the Chief Joseph Scenic Byway follows the pathways traversed by the famed chief as he led the Nez Perce Tribe out of the area now known as Yellowstone National Park. Roads named as National Scenic Byways often find the designation comes with an important economic boost to local economies. According to Scenic America, a 2010 report from the University of Minnesota showed that traveler spending along the Paul Bunyan Scenic Byway and the nearby Lake Country Scenic Byway resulted in $21.6 million in economic impact for communities adjacent to the two roadways. Similarly, a 2013 study of Scenic Byway 12 in Utah found that the byway generated nearly $13 million annually in local spending. Although the program has proven to provide both economic and preservation benefits, it has been largely dormant for nearly a decade. The last round of funding for the National Scenic Byways Program occurred in 2009 and Congress subsequently pulled support for the program in 2012. There are signs of life, however. In March, Rep. David Cicilline (D-RI), introduced H.R. 5158, a bill directing the Secretary of Transportation to reopen the National Scenic Byways Program to new nominations. The bill, co-sponsored by Rep. Ted Poe (R-TX), Rep. Jamie Raskin (D-MD), Rep. David E. Price (D-NC) and Rep. John P. Sarbanes (D-MD) has recently passed through the House Committee on Transportation and Infrastructure by unanimous vote and will soon be presented for a full vote by the House of Representatives. Reinstating the bill could mean additional economic benefits for numerous communities throughout the United States. A recent survey found that 44 local byways in 24 states are ready to seek National Scenic Byway designation should the program be reinstated. What’s more, the Federal Highway Administration has said that reinstating the program would not require any new funding. It simply needs approval by Congress. As Congress gets ready to vote on the bill, AIANTA encourages Tribal enterprises and other interested parties to contact their local elected representatives and weigh in on the importance of the Scenic Byways program. Letting your voice be heard is as simple as filling out a form at the Scenic America website at www.scenic.org/HR5158. For more information, contact AIANTA at 505.724.3592 or Scenic America at 202.463.1294. Scenic America is the only national nonprofit organization dedicated to preserving and enhancing the visual character of America’s roadways, countryside and communities.